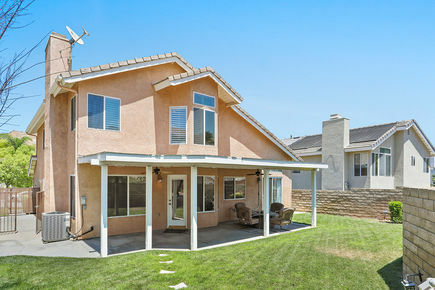 Welcome to Castaic in the desirable Hillcrest Park neighborhood. 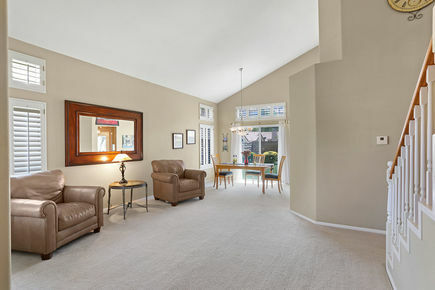 Light and bright with a cheerful open floor plan boosts this 3 bedroom and 2.5 bathroom home with 1851 square feet. 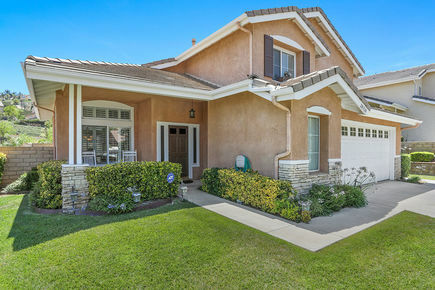 Adorable curb appeal with lush grass, foliage, stone accents and sitting area on the front porch. As you enter you will immediately appreciate the entry wood flooring and impressive cathedral vaulted ceiling with wood beam. 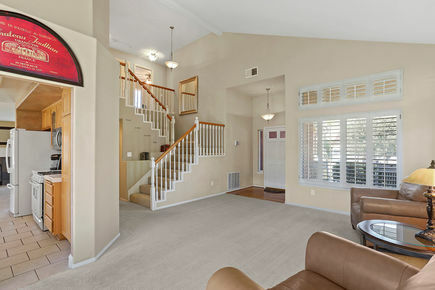 The living room has plush neutral carpet, lots of stately windows with shutters and opens to the dining room with chandelier and slider to the inviting backyard with view of the mountains. The family room boosts an ambient fireplace with mantel and opens to the spacious kitchen encouraging interaction with family and friends between the two rooms. 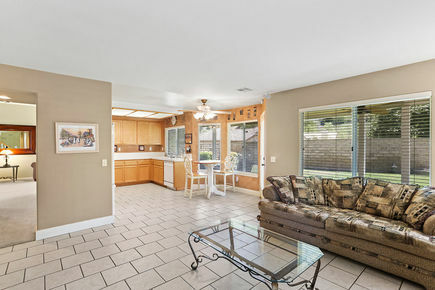 The kitchen has tiled floors, a cozy breakfast area with ceiling fan, French door to the backyard, lots of tiled counter top space and cabinets with glass front to display your special pieces. 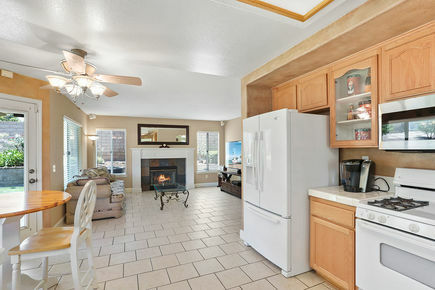 Gas stove top with oven, built in microwave, dishwasher, garbage disposal and PUR water filtration system. 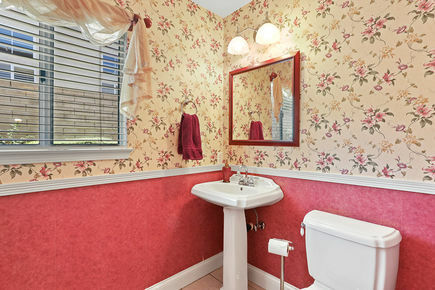 The guest bathroom is conveniently located near the family room. 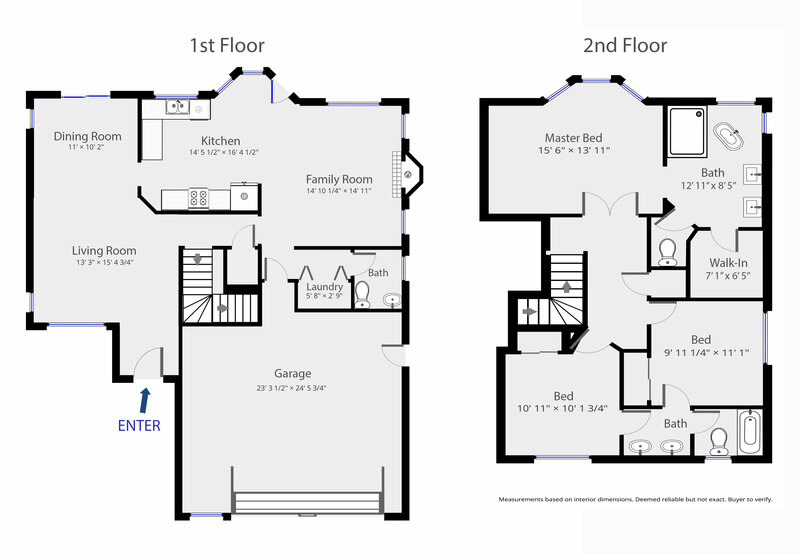 As you walk up the stairs you will find the bedrooms and a spacious landing with view from the banister of the living room and dining room. 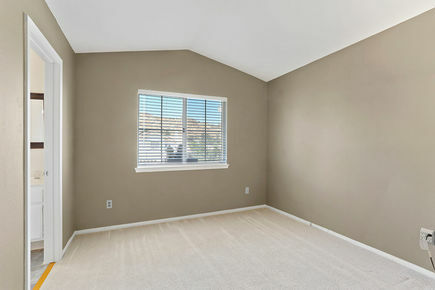 Generous master bedroom with double door entry, bay window, ceiling fan and en suite bathroom. 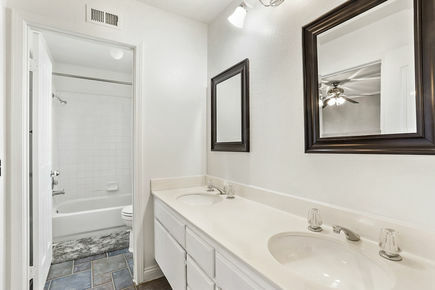 The master bathroom is stunning with newer flooring, a pedestal tub, walk in shower with frameless shower doors, bench, ground to ceiling tile wall with glass accent border, brushed nickel paddle shower head and separate shower hose with paddle shower head. Also features a Caesar stone counter vanity with his and her sinks, brush nickel finish fixtures, walk in closet and private commode room for privacy. 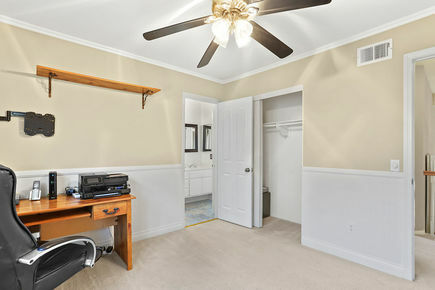 The second and third bedroom with ceiling fan conveniently share a Jack and Jill hall bathroom with tiled floor, his and her sink and the shower/tub has a tiled wall. 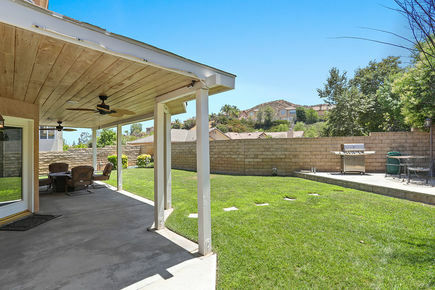 The backyard has a refreshing view of the mountains, spacious entertaining patio with wood overhang, misters, ceiling fans, stepping stones to the BBQ with sitting area and lush landscaping. Side yard with gates perfect for toys or dog run. Additional features include tile roof, 2 car garage with direct access to the house, automatic garage door with window panels, AC, block walls, copper plumbing, plantation shutters, crown and base moulding. 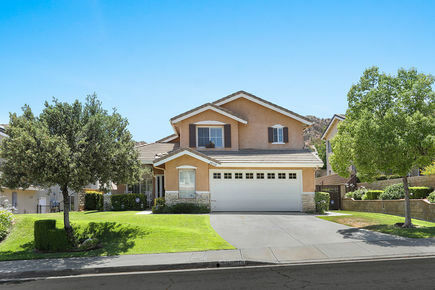 Walk to school, enjoy your free time with family and friends camping, fishing and boating at everyone’s favorite Castaic Lake.